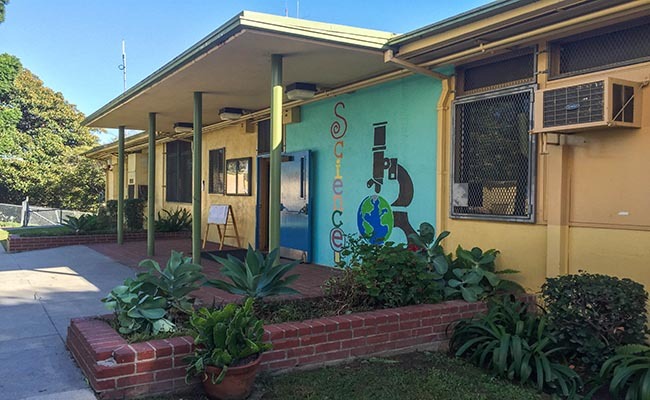 Mid-City’s Prescott School of Enriched Sciences is the only school that feeds directly into the Los Angeles Center for Enriched Studies. LACES is one of the top schools in the state. 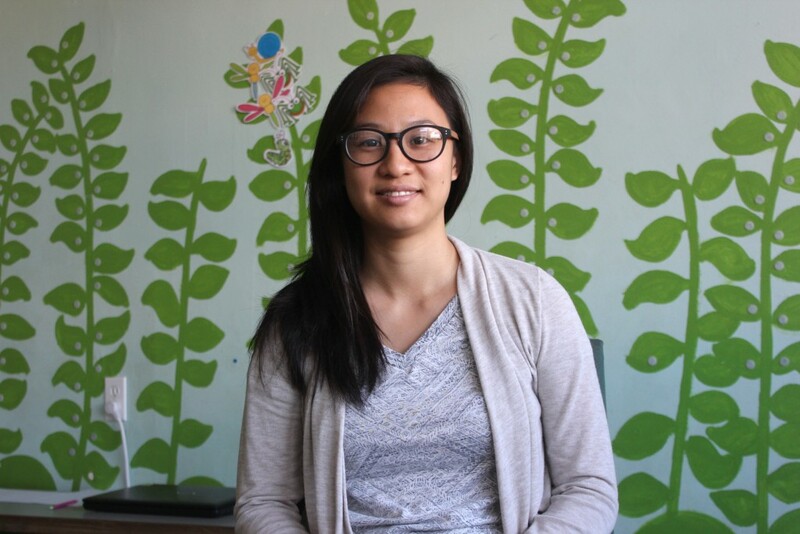 | Caitlyn Hynes, Intersections South L.A.
Four weeks into the school year, Ellen Hume got the call she had hoped wouldn’t come. Her daughter Elena, 10, had been taken off the waitlist and accepted into Mid-City’s Prescott School of Enriched Sciences. Like many parents in the Los Angeles area, Hume had been applying for magnet schools since her daughter was in second grade. When Hume received the call, she was happy with Elena’s then-current elementary school, Synergy Charter Academy, and didn’t necessarily want her child to go to Mid-City. 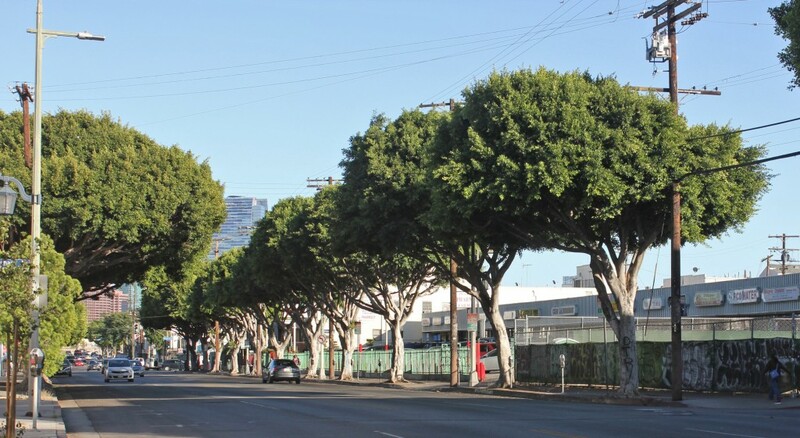 Yet, for Hume and many other parents, the appeal of Mid-City is not Mid-City itself, but the fact that it is the only direct feeder school for the Los Angeles Center for Enriched Studies. LACES, as it is better known, is the highest ranked school within the Los Angeles Unified School District according to U.S. News and World Report. In 2015, the school had 3,247 applications for 224 open spots. That admission rate is less than 7 percent—more selective than UCLA that same year. To ensure a child’s admission into LACES, some parents have decided to apply to Mid-City in their child’s later elementary school years. Their year at Mid-City is simply a means to an end, something 10-year-old Elena herself is aware of. “I think it will be worth it to switch from Synergy to Mid-City to get into LACES. If I had a choice I would choose Synergy and LACES but I know that’s kind of impossible,” she said. Phil Placenti, who must weigh the educational future of his two daughters, said the reliability and success of LACES are what has drawn their family to the school. LACES also offers sixth through 12th grade, meaning if a child gets in as a sixth grader, the parents no longer have to play the magnet points game. The fact that Mid-City offers families the chance to matriculate directly into LACES, a solid, steady and reliable school, means that parents whose children have been offered admission into Mid-City have to carefully weigh their options. If they accept, children may be attending a lower-performing school in a far-away neighborhood. If they decline, they will lose all of their magnet points – a disaster for upper-elementary school students preparing for the middle school magnet application process. “It’s the only system where you’re applying, and find yourself hoping you don’t get accepted,” said Jolene Hjerleid, whose daughter was accepted to Mid-City in 2012 and is now an eighth grader at LACES. Hume eventually decided to send Elena to Mid-City. because doing so would set her up for the next six years of her academic career. Amy Levinson also saw Mid-City as merely a stepping stone to LACES. When her son was accepted into the elementary school the day before starting fifth grade, she decided to take the spot to guarantee his place at LACES. “We agreed within the day that we were going to do it because it would solve the middle school and high school problem. So it was worth it for him to have upheaval for a year. But he was leaving his school again, where he was thriving,” Levinson said. 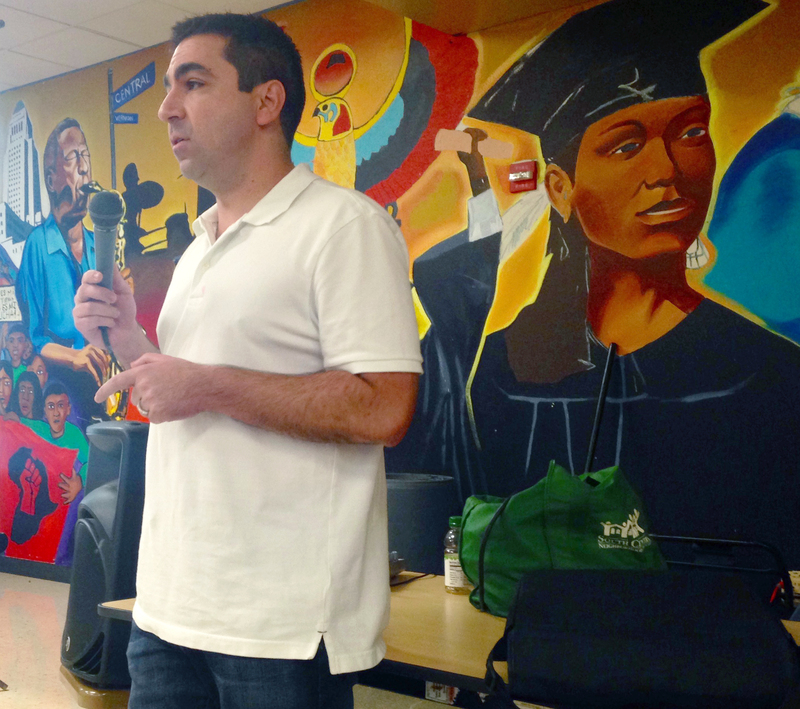 The magnet points system and lack of streamlined school experience in LAUSD means that parents are constantly thinking ahead and planning for the future. Hjerleid‘s daughter was in one of the first classes at Mid-City to be directly admitted to LACES. When the change was announced, she says there was some backlash among parents. “Everyone was a little surprised when Mid-City was chosen as a feeder school. I think people were like, why is this little unknown elementary school being chosen for the magnet?” she said. LAUSD was unavailable for comment on why Mid-City was chosen as the sole feeder school for this article. Though Mid-City has consistently improved its API score over the past five years, rising from 761 in 2008 to 801 in 2013, only 51.9 percent of students were at or above proficient in English, and 57.2 percent in math, according to its 2013 Adequate Yearly Progress report. 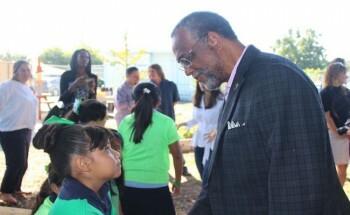 In contrast, Synergy Charter Academy, where Hume’s daughter Elena attended from kindergarten to fourth grade, had an API of 907 with 75 percent of students proficient in English and 88.9 percent in math. When Hjerleid and her husband decided to transfer their daughter to Mid-City in 2012, they left West Hollywood Elementary School, which had a 932 API score that year and an 83.5 percent proficiency in English and 85 percent proficiency rate in math. The qualitative aspects such as Mid-City’s disorganization and lack of academic rigor, however, are what the parents interviewed focused on. Levinson, whose son also spent a few years at West Hollywood, was disappointed with Mid-City’s academic standards. Hjerleid and her husband also wondered if it would be worth it to transfer to Mid-City. The academic expectations, she said, were not as high as she believed were necessary. “And that was disappointing, but we were prepared for it,” she said. Hjerleid and Hume both confirmed that they accepted their spot at Mid-City not because they felt it would be academically challenging for their children, but because they knew if they did not accept, they risked losing their chance at LACES permanently. Placentis’ oldest daughter Analisa is a sixth grader at LACES, despite the fact that she didn’t get into Mid-City last year. 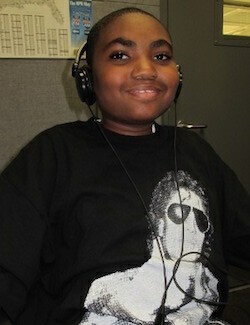 When Analisa was put on Mid-City’s waiting list, he said it was a relief. But she was admitted into LACES this year with 16 magnet points, which is generally agreed to be the minimum number of points for LACES. Nevertheless, the Placentis understood how hard the decision would be. “Going to a school like Mid-City for a year or two in order to know that your child will have a solid middle school option can be a difficult thing to pass up. For our older daughter, we applied for a spot at Mid-City and prayed she wouldn’t get it,” said Placenti. Hjerleid says they wouldn’t have changed anything regarding the decision they made for their daughter’s education. “We also thought our daughter was the kind of student and personality that could weather that pretty well and maintain a sense of academic rigor and studying and all of that even if the expectations were lower than where she had come from,” said Hjerleid. Despite the different academic expectations, some parents believe that one-year at Mid-City will be regained in value many times over while attending LACES. Imagine the Los Angeles skyline in its entirety. Include the apartment and commercial buildings; the houses old and new. Now, imagine 50 percent of those buildings gone—collapsed either partially or completely. That is the bleak picture that U.S. Geological Survey seismologist Dr. Lucy Jones painted for attendees during the 2015 Great California ShakeOut Breakfast Leadership Summit on Sept. 30. 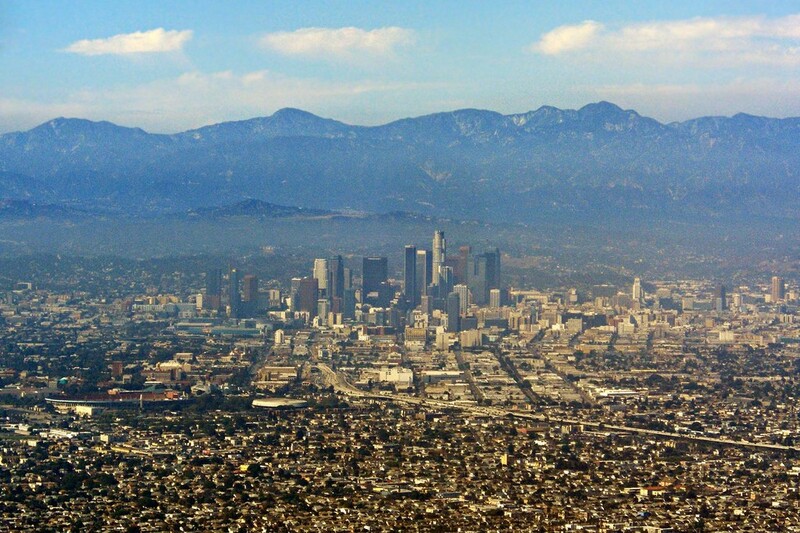 Los Angeles has not experienced a major earthquake in 20 years. The last large temblor to slam the region was the 1994 Northridge earthquake. Since then, California faults have been in a quiet period that Jones and other experts on her team insist won’t last. 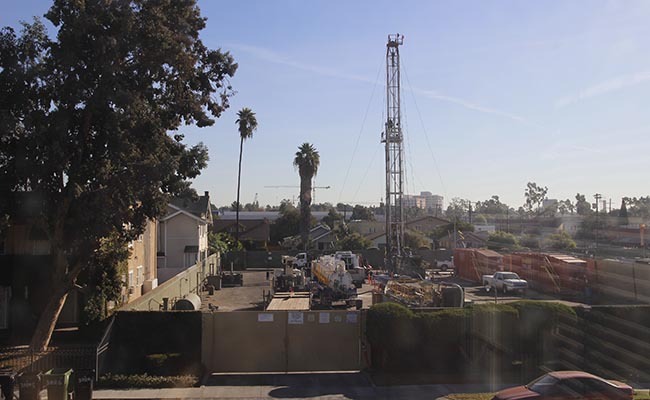 The period of smooth sailing has caused home and commercial building owners to relax their approach to protecting structures against the damage they could sustain in the violent shaking during a substantial quake. Lack of action to strengthen structures, however, renders the millions of people who live and work in the city’s 300,000 unstable buildings susceptible to displacement from work or homes, and even disaster-related death. 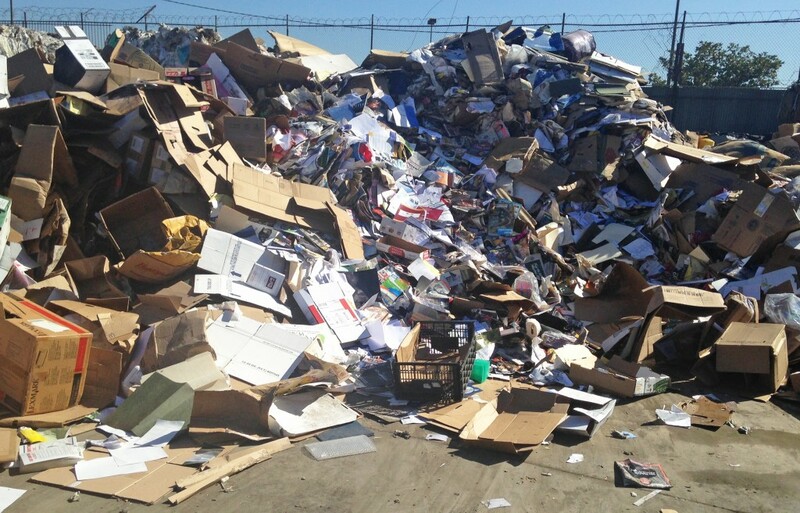 Active Recycling, a private recycling company on West Slauson Avenue, is offering free trash drop-offs for up to 2,000 pounds on the first trip. Normally, a similar drop-off could cost around $100. Active Recycling then sorts out the recyclable goods. “Everyone thinks I’m crazy for doing it. It’s costing me a lot of money. 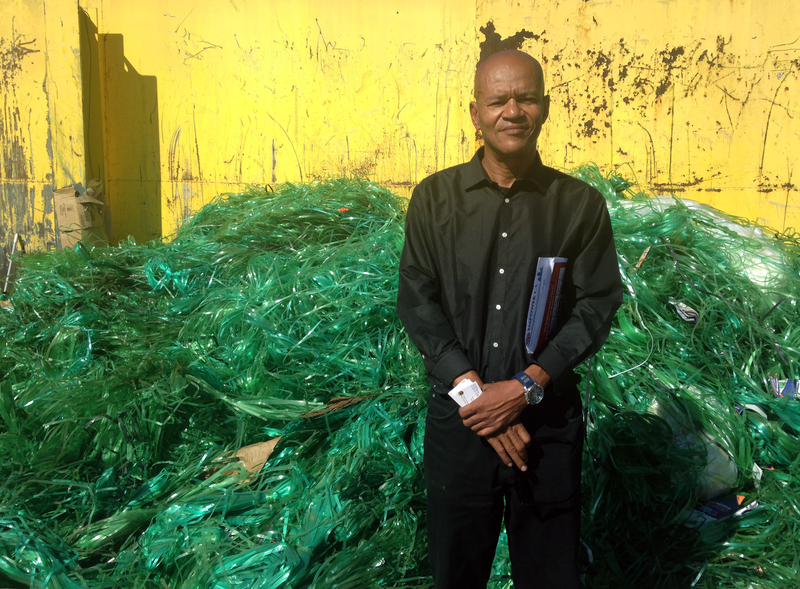 What I’m getting out of it is a cleaner city for my children, my grandchildren, and for other people’s children,” Errol Segal, who takes care of day-to-day operations as a senior consultant for Active Recycling, said. In the first two weeks of the program, 220,000 pounds of illegally dumped trash were taken to Active Recycling. Drop-offs, however, have slowed down in the recent weeks. While the program was originally intended to last from Aug. 28 to Oct. 15, Segal has decided to extend the offer indefinitely as long as people continue dropping off trash. 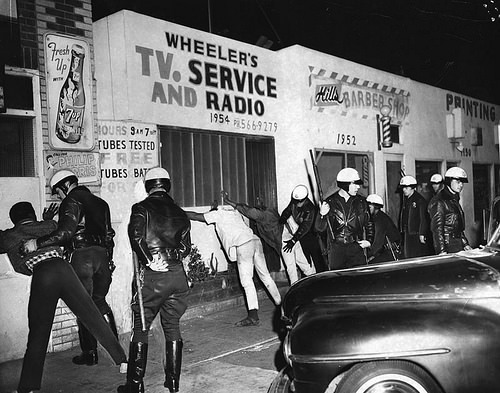 “I’m not going to stop for as long as it takes to clean up the city,” Segal said. Illegal trash dumping has been a nuisance in Los Angeles in recent years, many said. Residents from all over the city take truck-loads of trash to South Central alleys that have become dumping grounds. 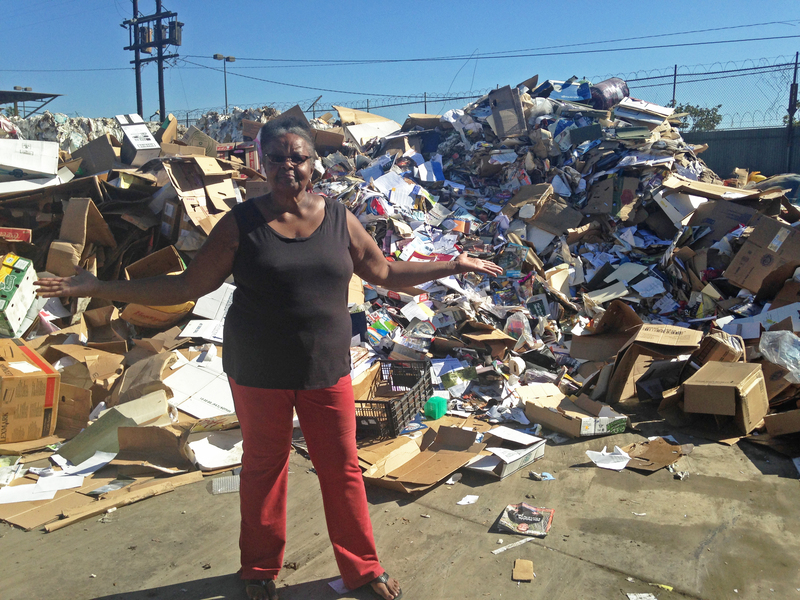 Local resident Charletta Butler said near her home, illegally dumped trash has piled up for months. She described rusted cars without wheels and abandoned refrigerators that are languishing in a nearby alley. 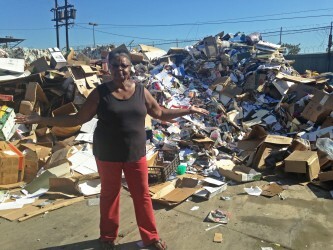 While she said residents put in a service request more than a month ago, the mess still has not been cleaned up. “If someone came from out of state came to visit, they would go away saying this is primitive. This is third world living,” Butler said. The illegal dumping also causes safety concerns because emergency response vehicles can’t navigate alleys filled with truck loads of trash. After a City Administrative Office report released in March found that Los Angeles lags behind other cities in trash can availability and street cleanliness, Mayor Eric Garcetti signed an executive order to add 5,000 trash cans, add a third “strike team” to respond to illegal dumping requests and to create a cleanliness index to measure progress. Segal doesn’t think adding more trash cans will solve the problem, since much of the refuse is too large to fit in them. “What people are dumping illegally on our streets and alleys and sidewalks in vacant lots and by the highways is not a trash can full. If that were all it was it wouldn’t be much of a problem,” Segal said. 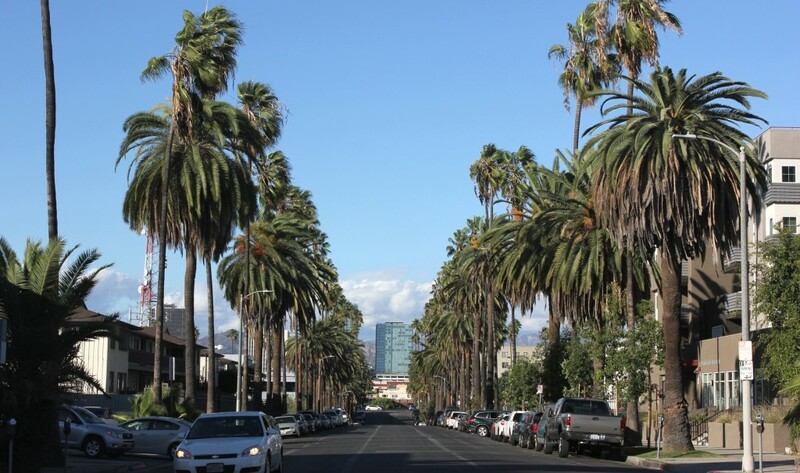 In mid-August, city officials came under fire again after Los Angeles Bureau of Sanitation statistics showed that the city responded at a significantly lower rate to clean up requests in low-income neighborhoods. The L.A. Times reported that while the city responded to 99 percent of requests for trash clean-ups in some areas of the city, more than one-third of requests in dozens of neighborhoods in Central, Northeast and South L.A. were ignored. However, the L.A. Times also reported that the percentage of requests that are not responded to overall has decreased since Garcetti took office, from 27 percent in the previous two and a half years to 15 percent. 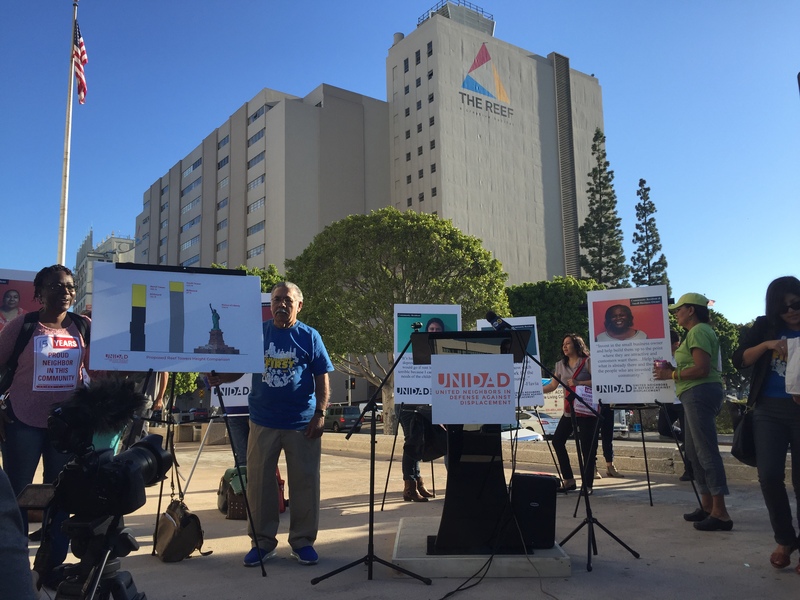 Active Recycling hosted five press conferences about their free drop-off program. While local media outlets did attend, no city officials or representatives were present, which frustrated some local residents. Empowerment Congress Central Area Neighborhood Development Council member Leonard Delpit said people should be educated that these opportunities exist, and recognition by city officials is a key part of getting public attention. “Our mayor mentioned that he wants a clean street initiative. We haven’t seen the mayor, but we support the idea. The concept is correct,” Delpit said. A request for comment from the mayor’s office by Intersections was not returned. Delpit said further options he would like to see the city pursue are more low-cost drop off opportunities at city-owned yards and camera surveillance of alleys to enforce dumping ordinances. No matter what options are pursued, Butler said South Los Angeles residents need the problem addressed now. “We need answers. We need to have it done, and have it done immediately. We don’t need a clean-up when our elected officials want to bring in the Olympics in 2024. We need it now,” Butler said. West Vernon Elementary School in South Los Angeles is vying to be a recipient of a $500,000 national grant program to fund improvements in children’s health and nutrition. The initiative was launched at the school this week. The initiative, a collaboration between the United Health Foundation and Whole Kids Foundation, has earmarked $25,000 for the Central and South Central region of Los Angeles. Elementary schools throughout the country will be able to apply for funding, ranging from $15,000 to $25,000, and the application consists of pitching innovative projects in line with the grant’s goals. West Vernon is an applicant and if chosen, it will be one of 10 to 12 schools participating in the program nationwide. 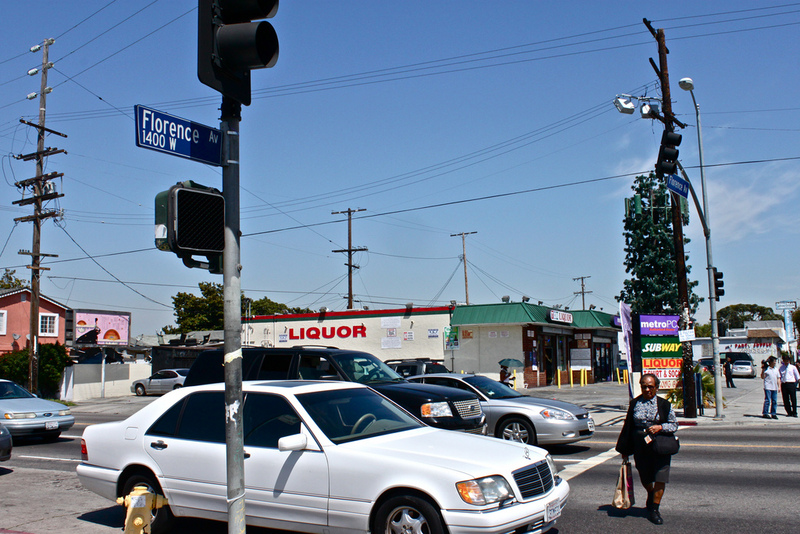 South LA residents are weighing the benefits of a proposed $1.2 billion development that promises to add condos, a hotel, a grocery store and hundreds of permanent jobs to the community. About 60 community members came to the South Central Neighborhood Council’s town hall meeting to voice their opinion on The Reef Project. The project is an expansion around the current Reef building, which serves as a space for small creative businesses. Parking lots cover the rest of the two-block area bordered by Hill Street, Washington Boulevard, Main Street and 21st Street. The development also would add a pharmacy, retail space, a bank and open pedestrian spaces. If the project is approved, it is projected to create 2,758 temporary construction jobs and 751 permanent part- and full-time positions, most of which would be in the hotel. Thirty percent of the construction and hotel jobs would be filled by people living within a five-mile radius. An apprenticeship program is being developed through Los Angeles Trade Technical College to provide training for local residents to qualify for the positions. Out of dozens of resident questions submitted, a central question emerged: What’s in it for us? Residents at the meeting on Sept. 19 at Santee High School voiced concerns that the project wouldn’t cater to their needs. 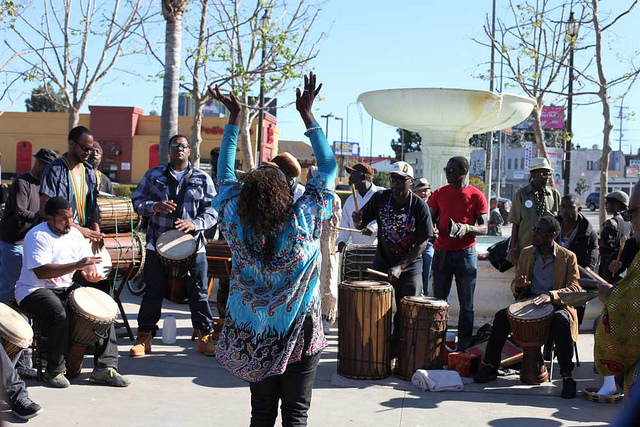 “They are trying to make us feel like we are privileged that they are coming here, but they should be coming in on our terms and asking what we want it to look like,” said Adriana Cabrera, education representative for the Central-Alameda Neighborhood Council and co-founder of Empowering Youth in South Central.